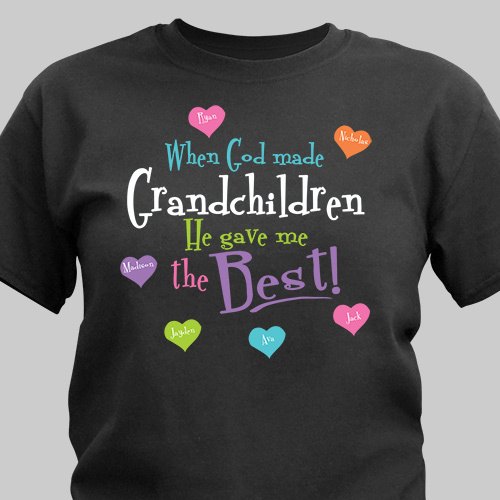 When God gives you the best why not show them off with our lovely Personalized God Gave Me The Best Personalized Grandma Shirts. Celebrate the love and support provided by your Nana, Grandma, Gram, Granny or Mom by giving each of them this unique family gift. I love the saying on this T-shirt! Our Grandmother loves this shirt!